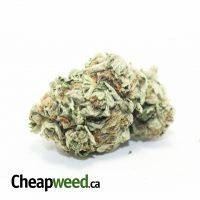 Believed to be the backbone and the trailblazer of the West Coast cannabis strain, OG Kush is one of the most popular varieties of the herb available on the market. Its name has even more recognition among cannabis aficionados than Pineapple Express or White Widow, even though the origins of the OG Kush strain are still fogged by a mystery. 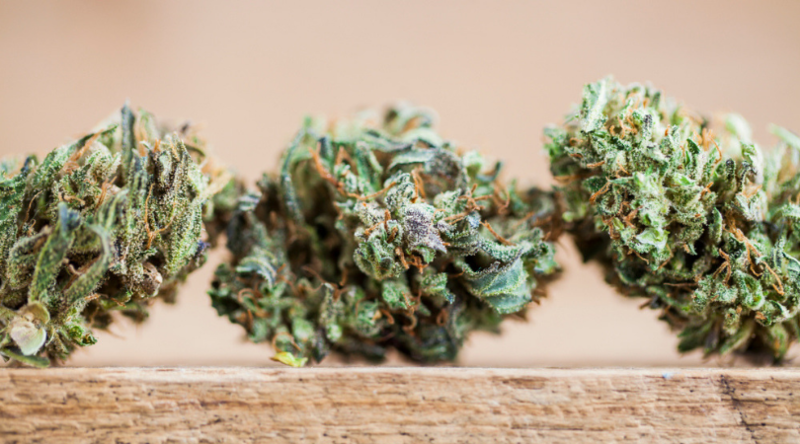 With little known about its lineage, OG Kush appears in many famous strains with the “OG” name, some of which have received even more hype than their parent. 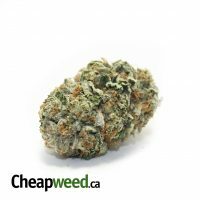 Well, it’s no wonder that weed lovers are so fond of this marijuana strain; superior genetics, dazzling appearance, immense resin production, out-of-this-world medical and recreational effects — smoking OG Kush gives you the whole package. Why all the noise around OG Kush? This review will answer the question thoroughly. OG Kush is the parent of numerous world famous marijuana strains. 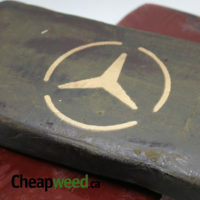 It has actually earned the title of the “most well-known cannabis strain on the planet” — even people out of the cannabis community should hear a bell ringing somewhere at the back of the head. The OG-Kush is classified as a hybrid, although we know very little about its genetic origins. Rumors have it that the strain is a cross between Chemdawg and Hindu Kush, although this ancestry has never been confirmed. 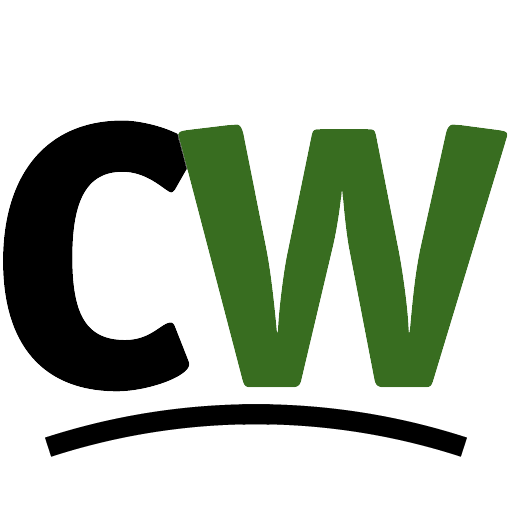 Nonetheless, the information about its origins doesn’t seem to matter so much, as the effect it has had on the world of marijuana strains deserves greater kudos. Some of the most respected phenotypes of this strain include Fire OG, SFV OG, Tahoe OG, Double OG, California OG, and much, much more. The reason cannabis breeders like to use OG Kush for creating new hybrids is the strain’s exceptional potency. With THC levels clocking in at around 20-27%, the high provided by OG Kush is remarkably powerful, surprising anyone who consumes it. When it comes to appearance, OG Kush looks like the traditional cannabis bud, being full of yellow-green sugar leaves threaded through with orange pistils and densely coated with a crystalline layer of trichomes which is the indicator of the strain’s potency. Once you stick your nose in the jar full of OG Kush buds, you’ll immediately notice an array of refreshing scents, reminiscent of deep pine forest. The aroma is woodsy, with strong notes of pine and earthiness. On the exhale, the smoke feels pretty smooth despite its high THC content. The first hit packs a surprising bouquet of lime, citrus, and lemon, as well as hints of spices. 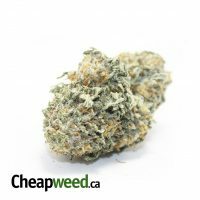 OG Kush is a well-balanced hybrid which tests in at 55% sativa and 45% indica levels. Once consumed, the strain brings up the feeling of strong euphoria followed by intense cerebral sensation. Initially, the high provides users with sharp focus and increased sensitivity, which comes in particularly handy for dealing with the lack of motivation or adverse reactions to temperature changes. As the high continues, it spreads down the entire body, often resulting in a mild to moderate couch-lock feeling. OG Kush is both relaxing and uplifting; users often report being tranquil, happy, and pain-free, yet capable of laughing and having a great time among your friends. OG Kush is most commonly consumed for chronic pain and mental disorders. It has assisted generations of medical users who have been seeking natural relief from their ailments. 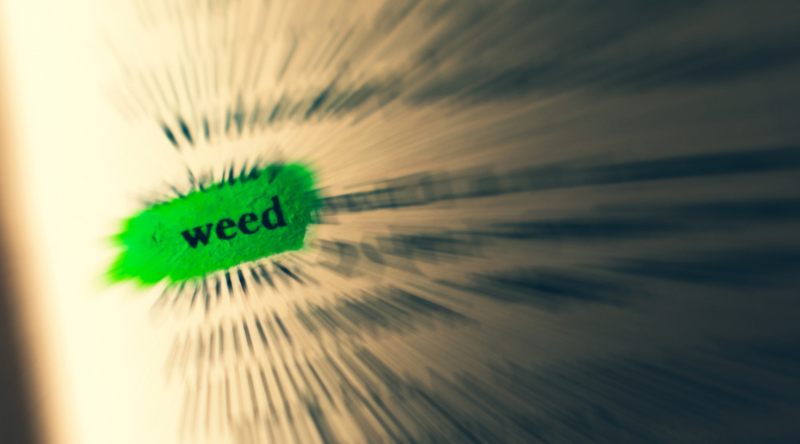 Its medical benefits are actually the “why” behind the strain’s worldwide popularity. 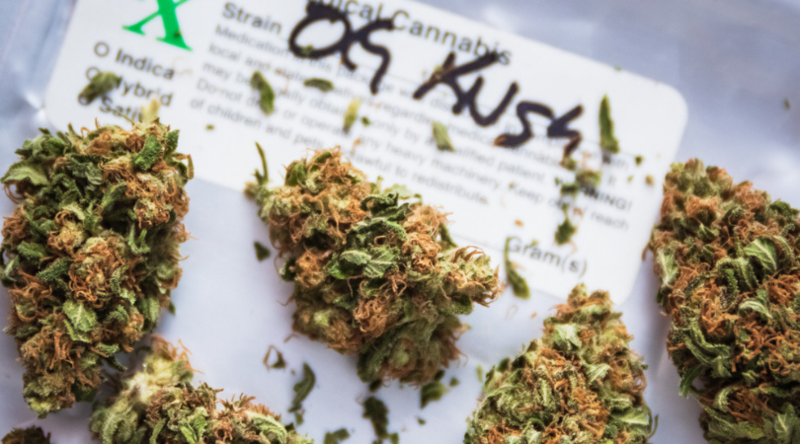 Individuals suffering from overwhelming amounts of stress — as well as those dealing with depression and insomnia — have discovered OG Kush to be especially therapeutic. The hybrid is praised for its ability to combat chronic pain and running thoughts, which is invaluable for treating sleep disorders. 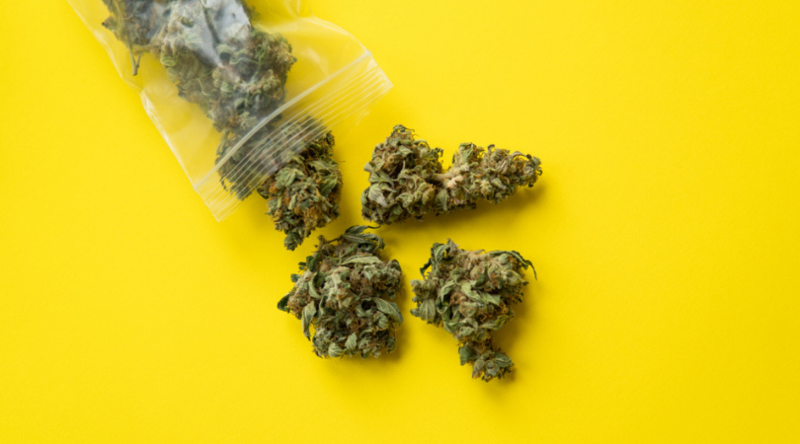 If you feel like you’re under too much pressure on a regular basis, you can smoke a small amount of OG Kush earlier during the day to keep yourself motivated and full of positive energy. Once you’ve accomplished all your duties, you can get another bowl of this refreshing bud to unwind and get ready for a good night’s sleep. 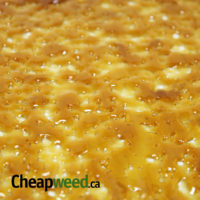 People who are sensitive to THC should know their limits when using OG Kush, as this is a very powerful strain. Of course, dry mouth and dry eyes are the obvious side effects (as with most marijuana strains), but sometimes, things can really get out of your hands. 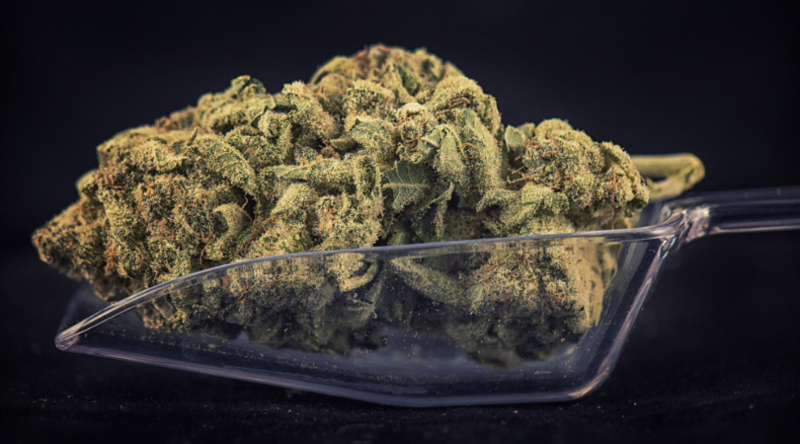 When consumed in too high doses, the OG Kush strain tends to elevate anxiety and induce paranoia, but remember that these side effects will soon pass — all you need to do is just keep breathing deep, steady, and slow. Additionally, you can ask your friends to comfort you a bit; this should keep any negative thoughts away. The OG Kush is generous when it comes to yields. 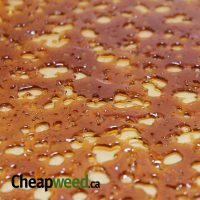 Those looking for a top-price cannabis strain to grow in the comfort of their homes are going to fall in love with this bud. However, it takes some skills to get the most out of the harvest, so make sure you have some prior experience with growing different strains. The hybrid has an 8-9 week flowering period, which is neither below nor above the average. If everything goes as planned, you should expect around 16-18 ounces of bud per square meter when you grow it indoors. For outdoor growers, harvest time is around early-to-mid October, and the strain can bear an average of 14-18 ounces of cannabis per plant. Because of its mildly stimulating and euphoric effects, OG Kush is a strain that can fit both in the daytime or early evening use. Its positive buzz can be enjoyed in both social settings or alone. 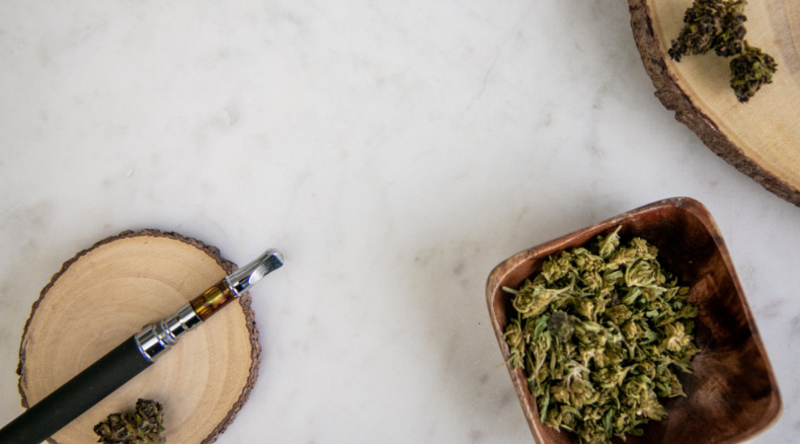 Whether you want to run rapidly through your daily routine, or you just need to kick back after a long day at work, OG Kush — the building block of many great cannabis strains — will live up to your expectations. 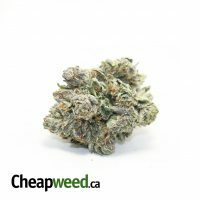 We hope you’ve enjoyed our review of the OG Kush strain. If you share any fond memories with this bud, feel free to shoot us a comment below!